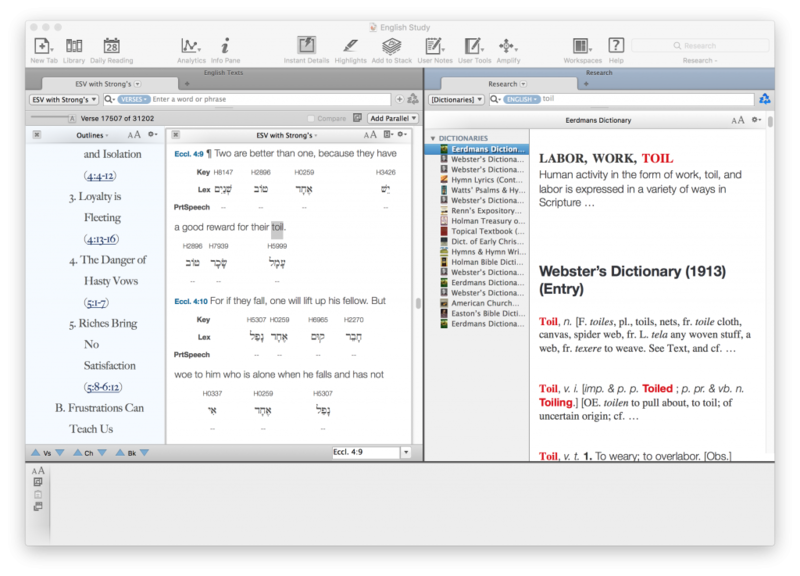 Chris, thank you for your review of the Accordance Bible Software English Learner Collection! 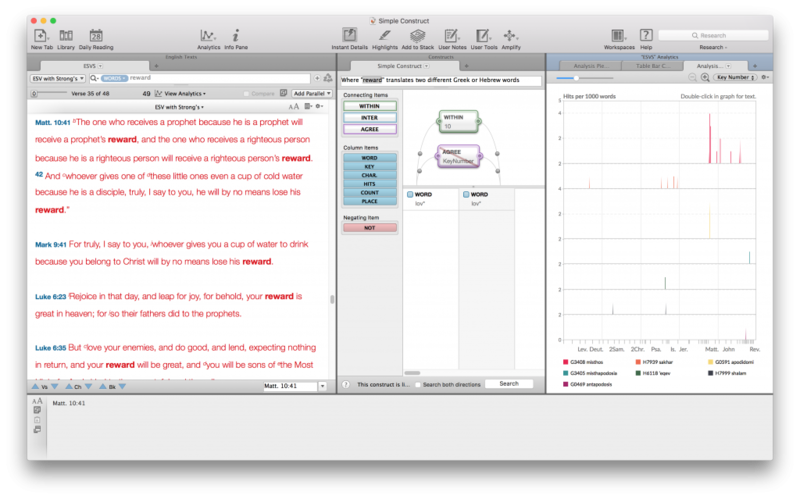 From what I read, it sounds like you really discovered how intuitive the Accordance interface is for Bible study at whatever level you wish to pursue. Here are a few points of clarification I thought I’d offer. I noticed you did most of your word studies via the Research function. 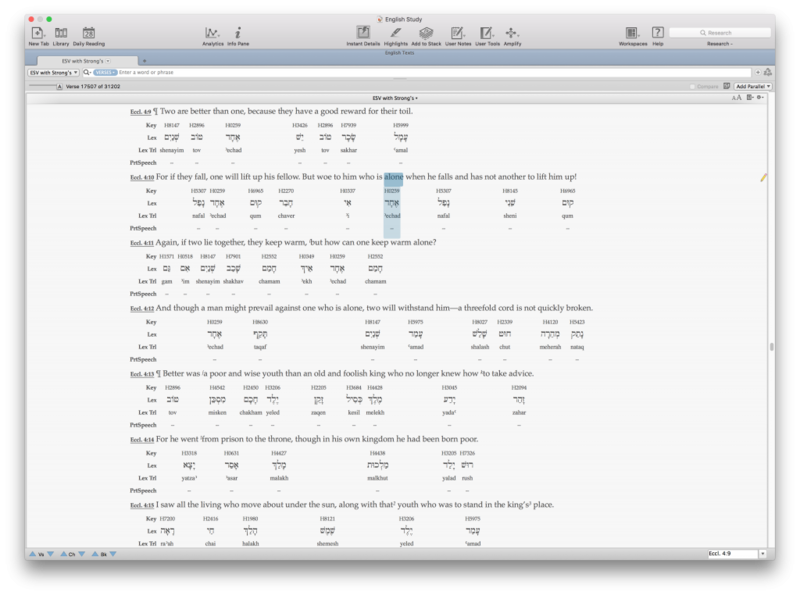 There are also very powerful options from the Amplify menu and the contextual menu when highlighting any word or phrase. I know you mentioned you were an Android user. 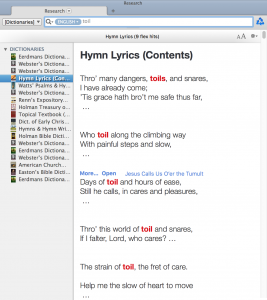 In case you missed it, we do have an Android version of Accordance Mobile in development for release later this year. In the meantime, I would encourage any of your iOS readers to download the free Accordance Mobile app for their iPhone or iPad. 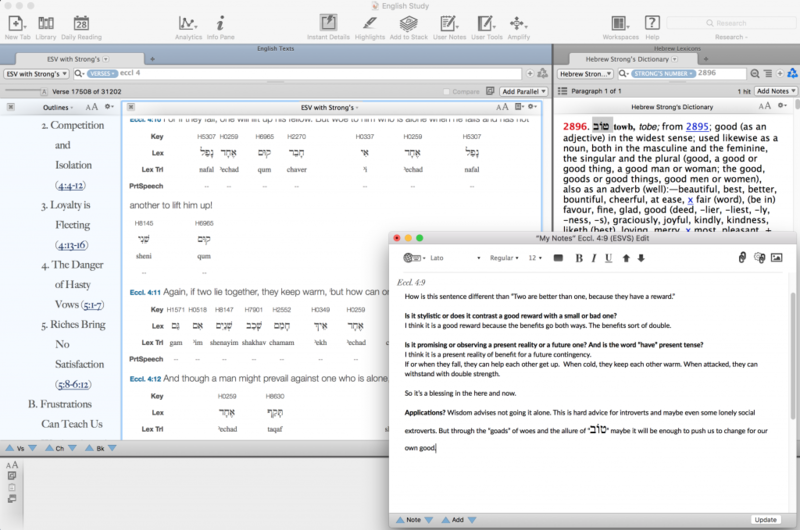 Accordance Mobile has been tweaked for the iPad Pro to run in split screen, which is very handy when using Accordance alongside another app such as a mobile word processor. Actually, Cmd-B does work to bold text. I’m not certain why it didn’t for you, but I just created a new note and tested it to make certain. It works! In fact, you can use standard keyboard shortcuts for italic and underline, too. 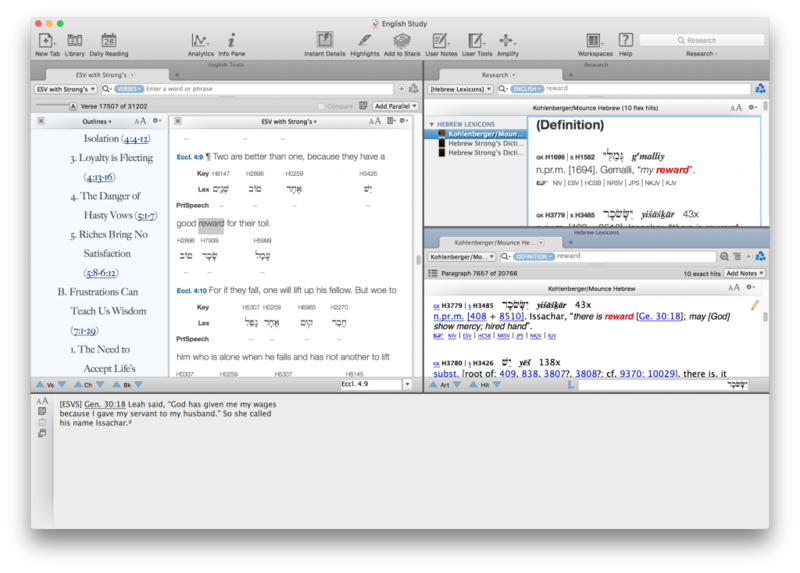 Keep in mind that Accordance is designed for everyone, not just pastors and biblical scholars. 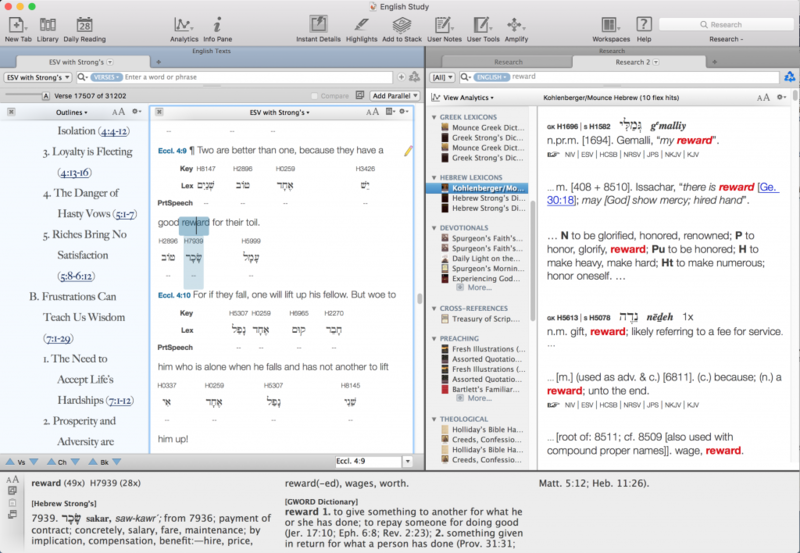 Every day, thousands of laypersons use Accordance for deeper study of the Bible. 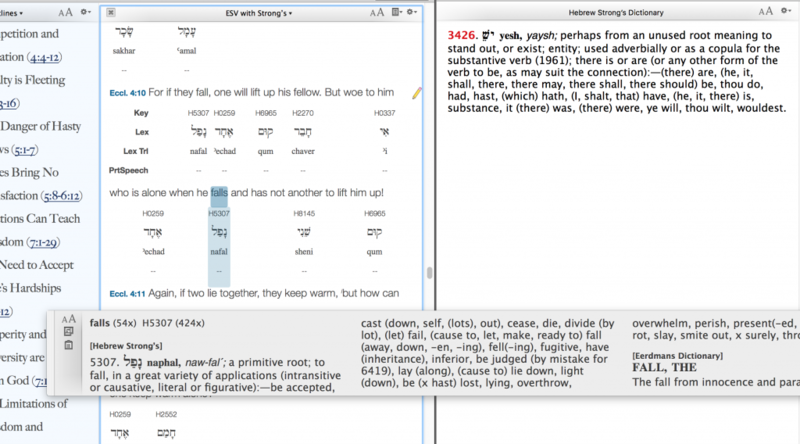 Our tools allow a reader to access original Greek and Hebrew content if he or she has never had an opportunity to study the languages. 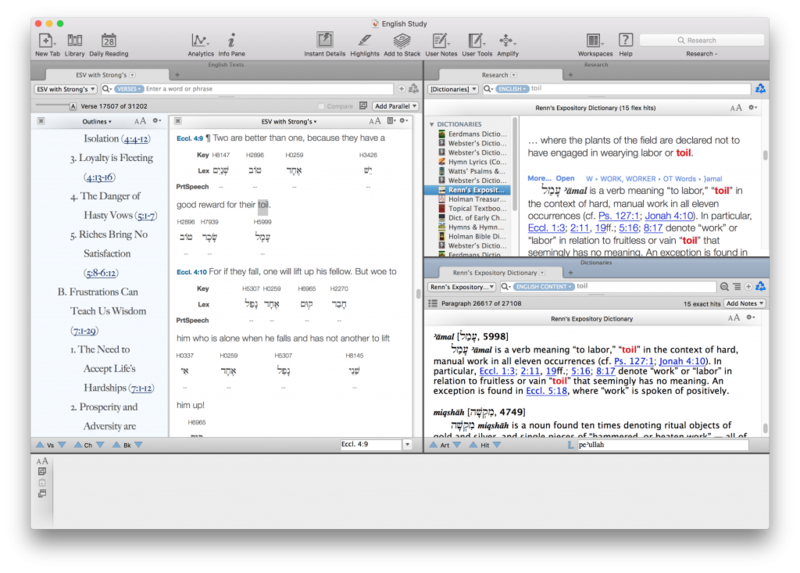 Also, I don’t know if you have a chance to check out our daily reading function, but Accordance offers a number of devotional texts and Bible reading plans. This may even be more beneficial to use in Accordance Mobile, so I hope you will give it a try when we release our Android version later this year. If you haven’t discovered it yet, we offer biblical texts in a wide variety of languages, and we are adding to these all the time. 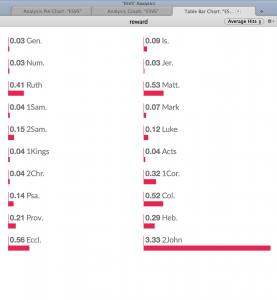 See https://www.accordancebible.com/store/International-Texts for a current list. 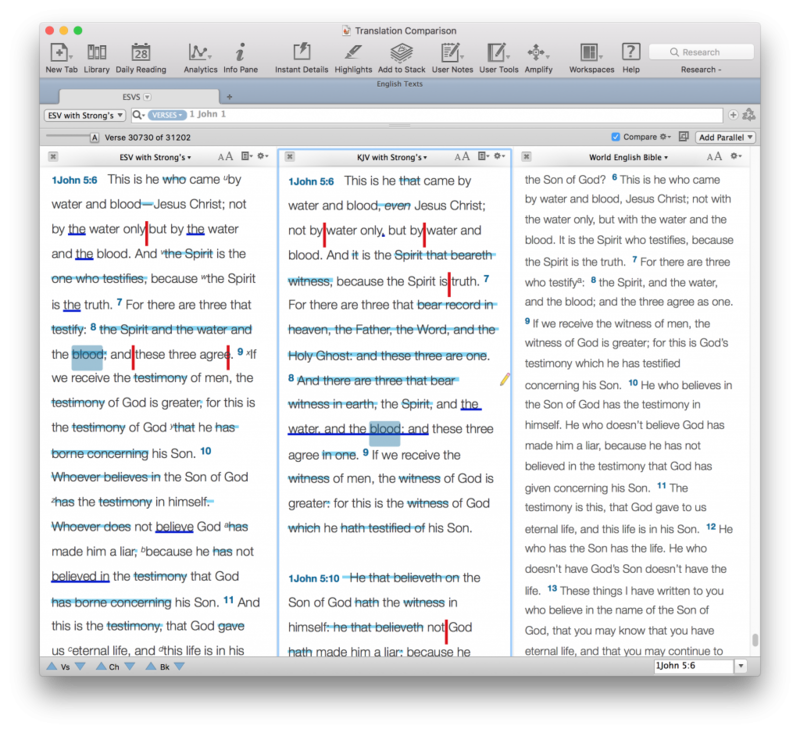 Chris, we hope you will continue to use your copy of Accordance for personal study and devotions. We put our Collections together to serve as foundations for our users to build upon, adding content that is in line with your own personal needs or interests. Please let us know if you have any questions. Hi Rick, thanks for your comments! I’ve updated the post to include some of your clarifications. I tried bolding the note again and this time it worked! Not sure what went wrong the first time. It’s also great to hear about your work in Asia! Any plans to visit Indonesia?